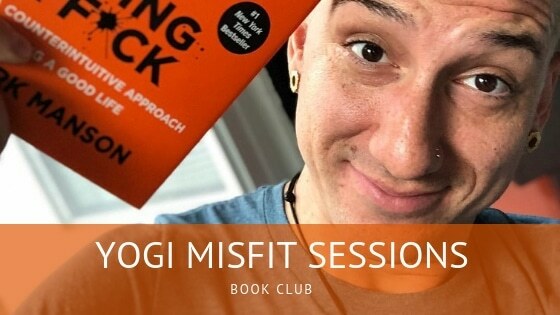 Hey Tribe, I’m so excited to be announcing the Yogi Misfit Book Club! The first episode is coming at you on December 26th so make sure you tune in. Our first book is the amazing ‘Subtle Art of Not Giving a F*ck’ by Mark Manson. If you haven’t read this book yet – that needs to change. Its one of those books everyone needs to read just to remember not to take life so seriously and just appreciate where you’re at. Click the link at the bottom to get your own copy. So get reading yogis and don’t forget to head over to the Yogi Misfit Facebook page to join the discussion. If that weren’t enough, we are going to be releasing podcasts every single week from now on. So for December, watch out for 3 new Yogi Misfit Sessions plus the book club episode. Lucky you! !